Sapa love market is not the only market in Vietnam because there are some other love markets in the north such as Khau Vai love market in Ha Giang, Moc Chau love market in Son La. Hence, instead of meeting once a year like those love markets, Sapa love market is operated every weekend that attracts the curiosity of both domestic and foreign tourists. Sapa is a beautiful mountainous town in northern Vietnam along the border with China. 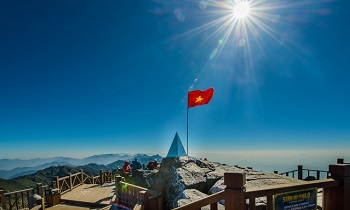 ... Sapa and its surrounding region is host to many hill tribes, as well as rice terraces, lush vegetation, and Fansipan, the highest peak in Vietnam. The northwest market town of Sapa is colorful and charming, providing the perfect oasis in the midst of a strenuous mountain trek or rice-paddy tour such as: Sapa trekking tours, Sapa homestay tours. 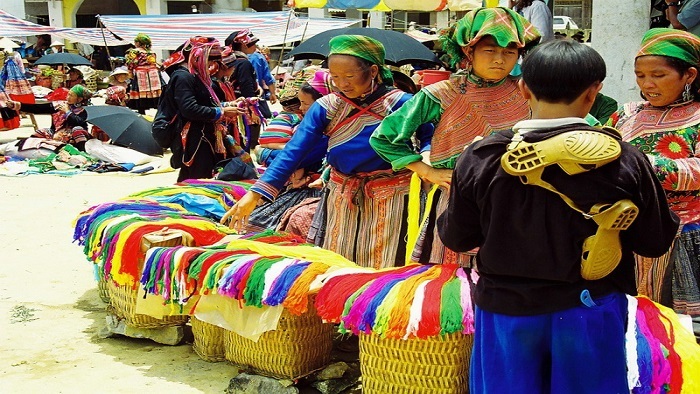 Before you might think about anything improper, Sapa’s love market has been an unique and valuable aspect in the culture of the Mong and Dao ethnic groups for a long time. Due to the distance between the villages, the market meets once a week on Sunday. What makes Sapa love market unique? On the Saturday night, guys and girls from all villages come to Lao Cai to meet one another. They talk, sing and play different games according to their ethnic groups’ tradition. After the night, many couples become intimate and promise to see each other again on the following morning. Many of them become husbands and wives in the spring. That is why the poets in Lao Cai called the market Sapa’s Love Market. 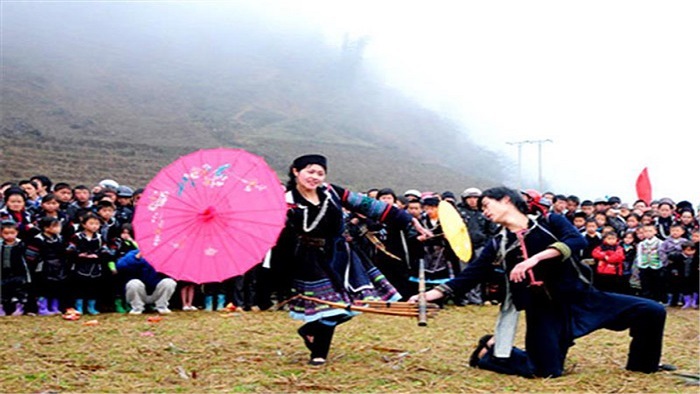 The most popular Love Market in Lao Cai is organized in nowhere else but Sapa, where it is gaining more and more attention of not only the ethnic people but also the travelers from many places in the world. Come and enjoy with Sapa trekking tours Vietnam. Thank you!